Here are some recently finished project completed for our customers. 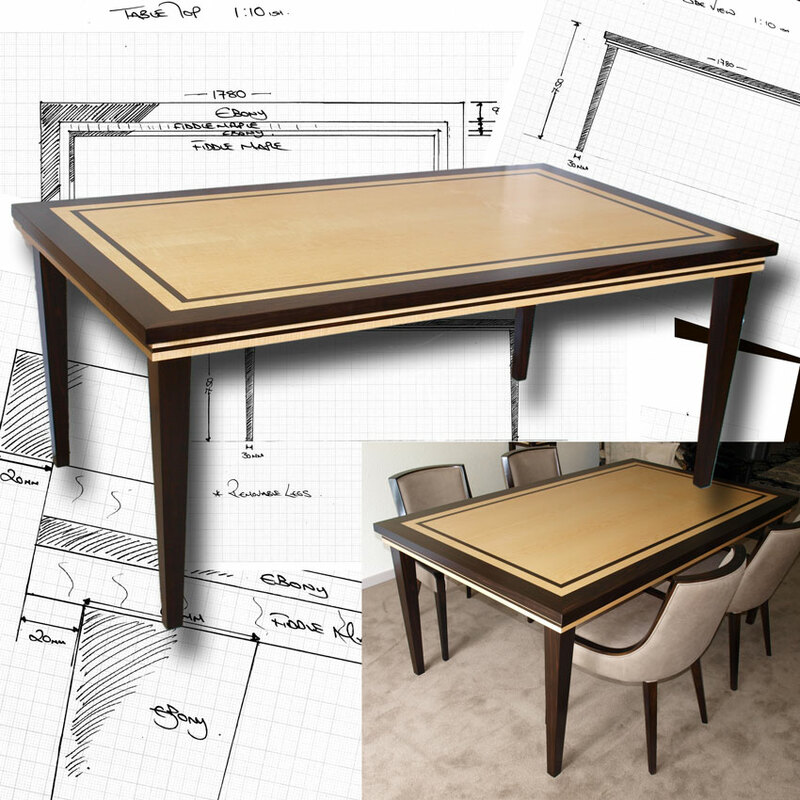 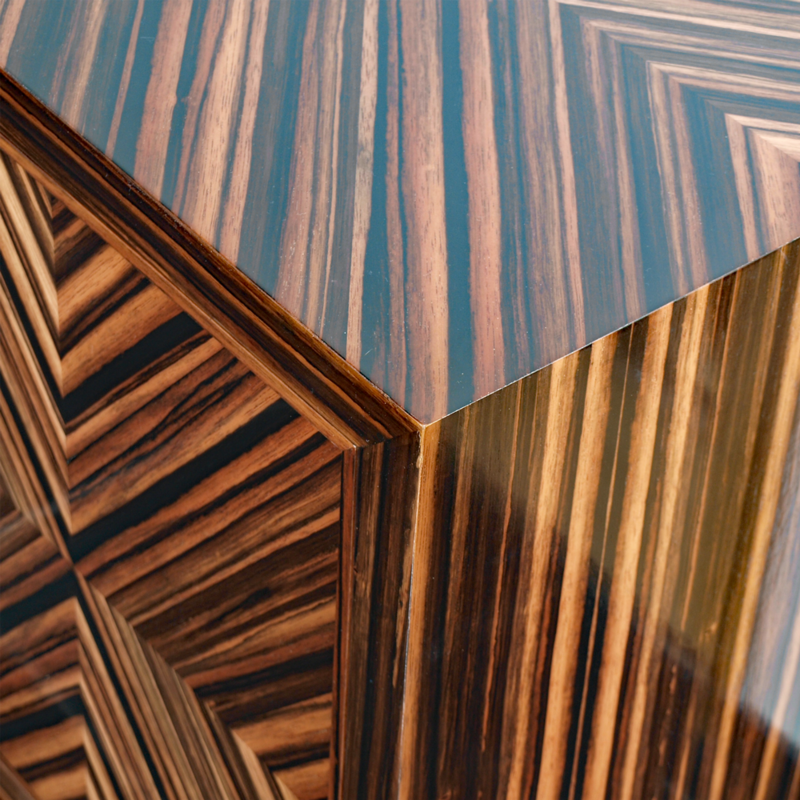 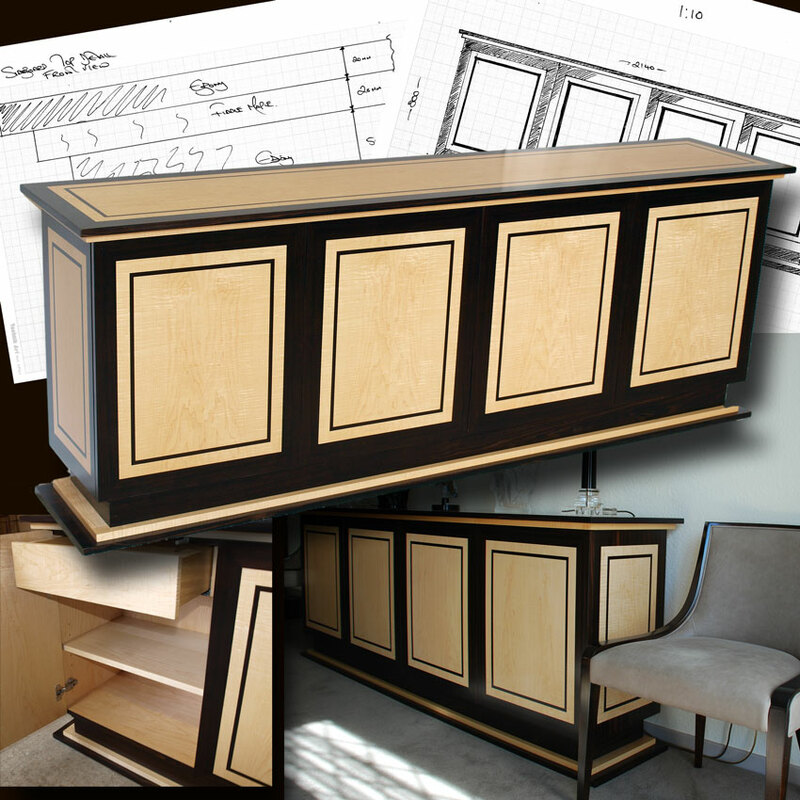 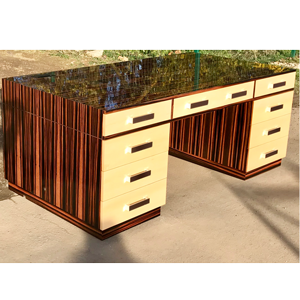 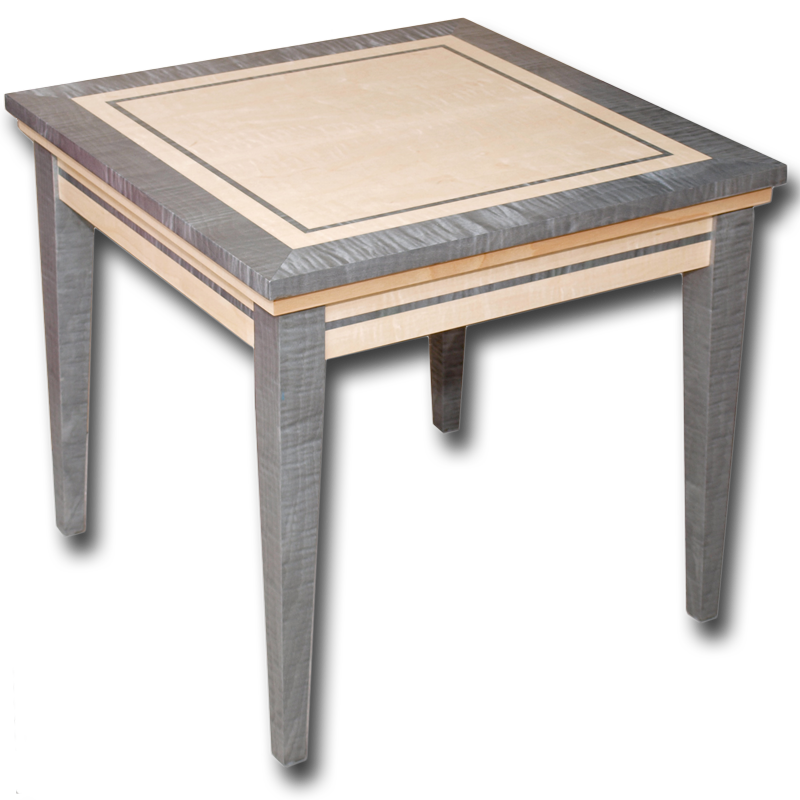 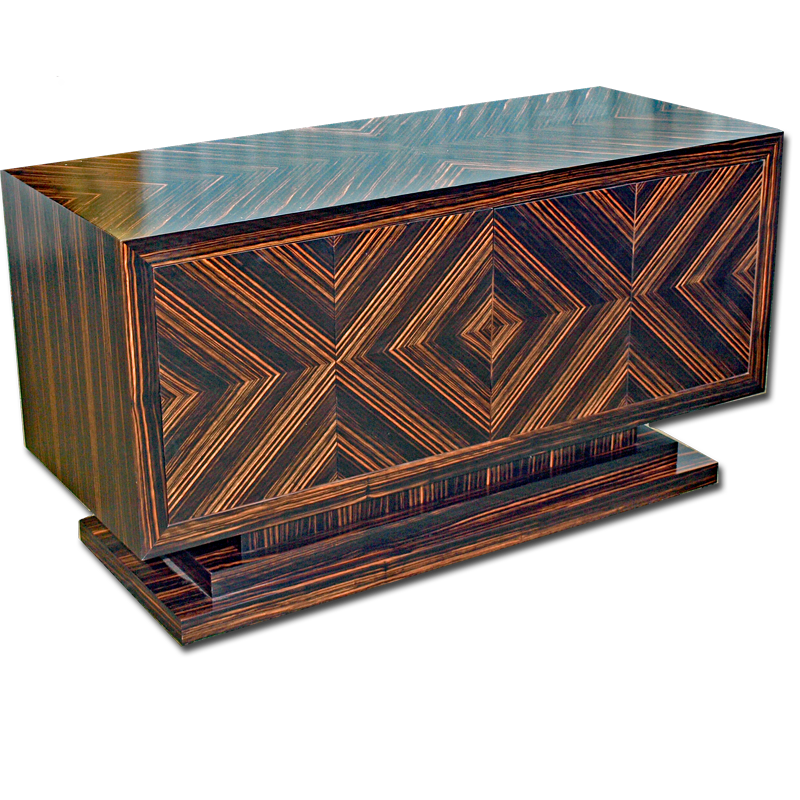 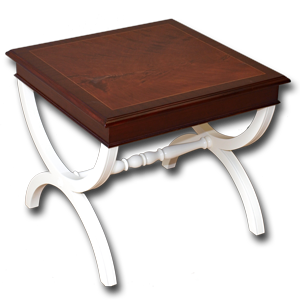 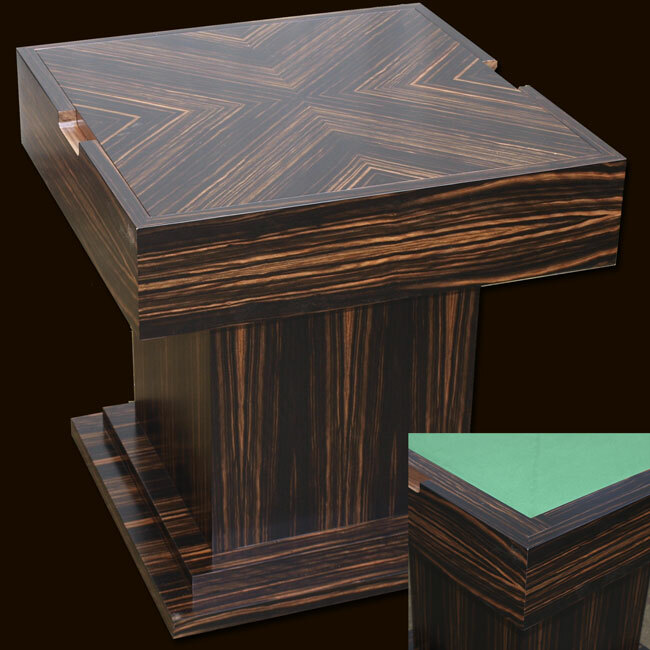 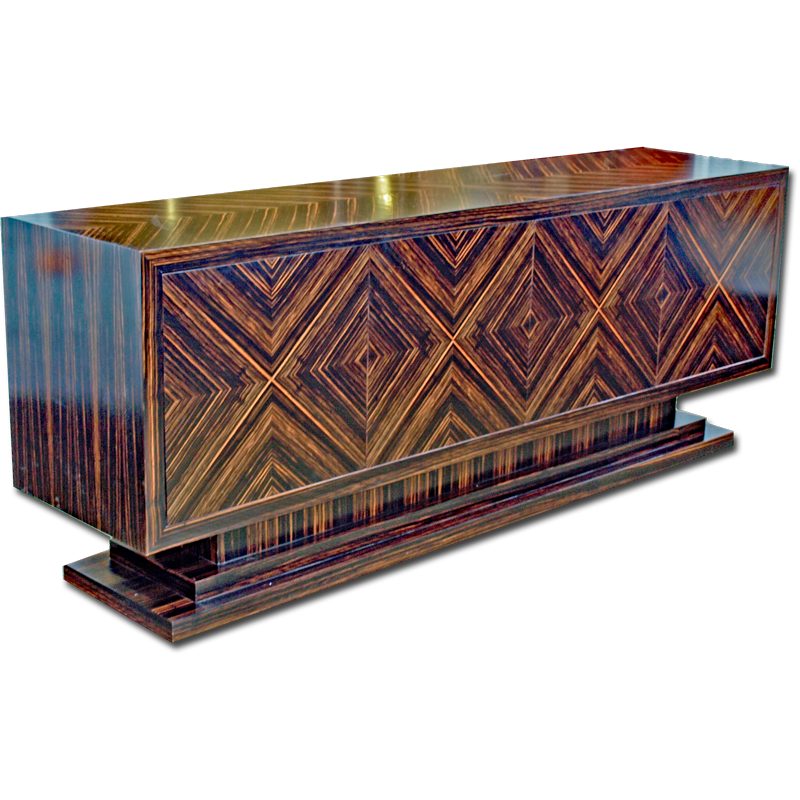 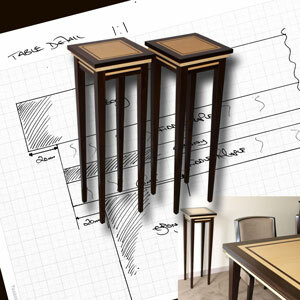 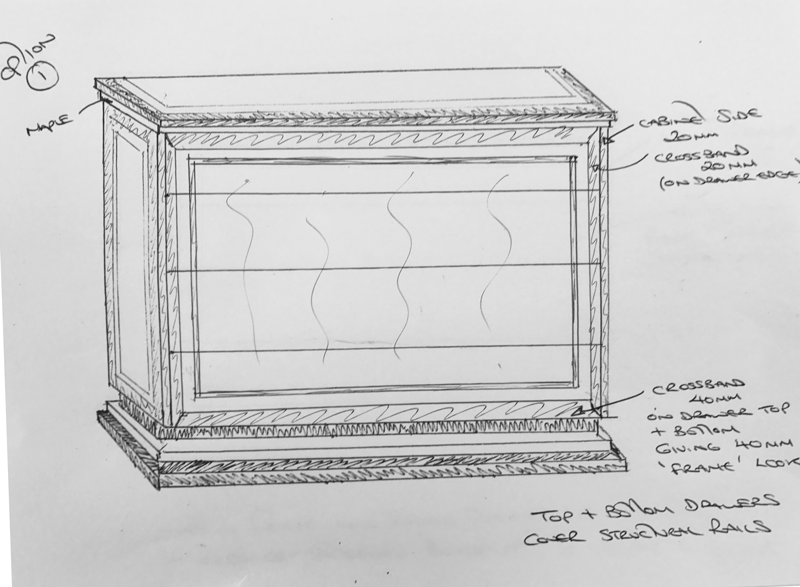 All of these unique pieces of furniture started life as just an idea or inspiration, turned from a sketch into something real and beautiful for someones home or office. 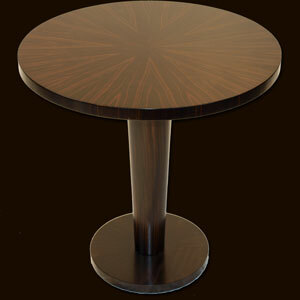 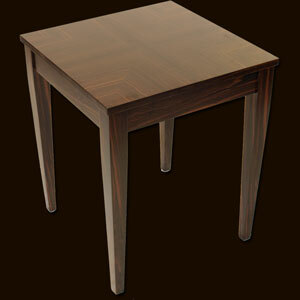 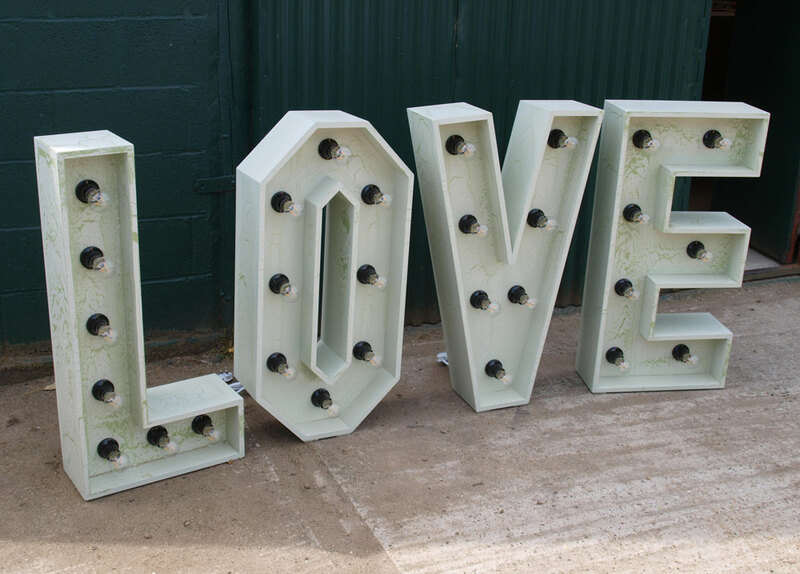 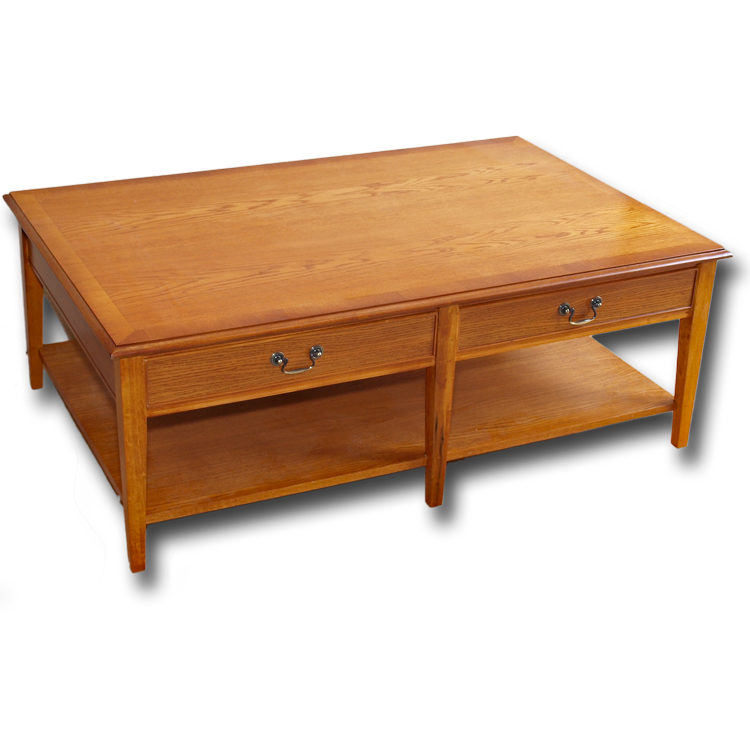 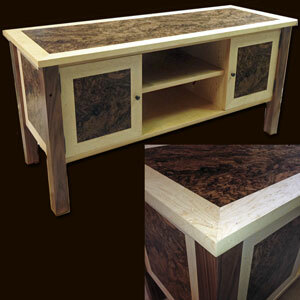 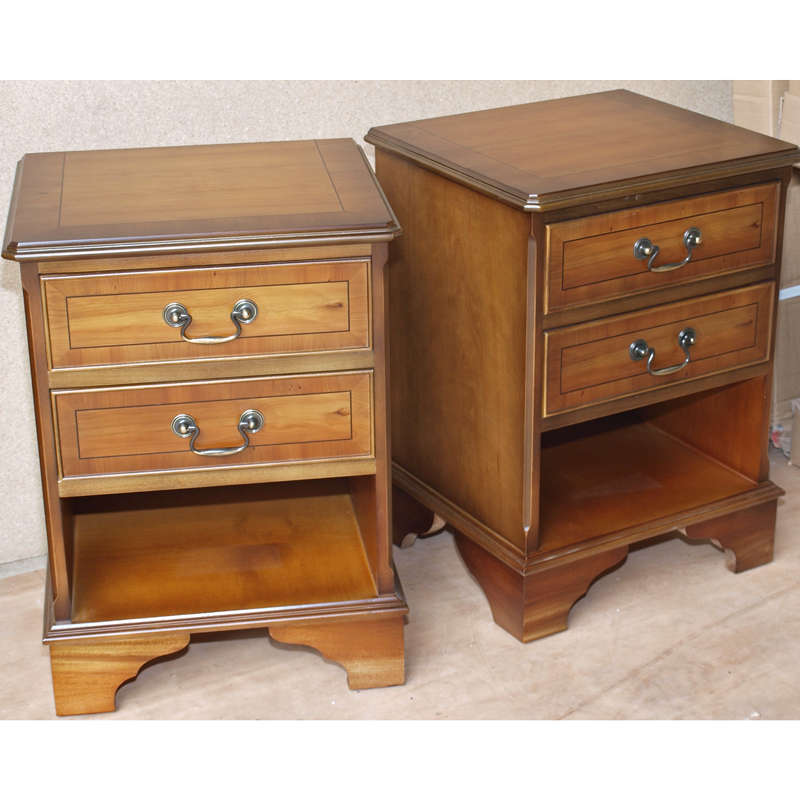 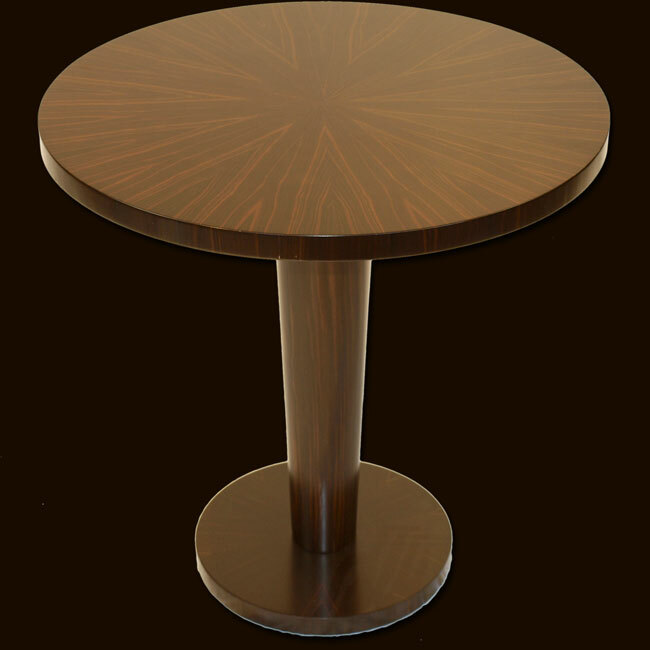 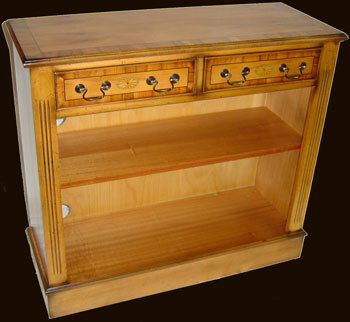 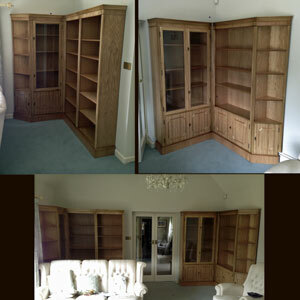 Ref: besp48 Here at Marshbeck we do not just make furniture for our customers, we do it for ourselves too! 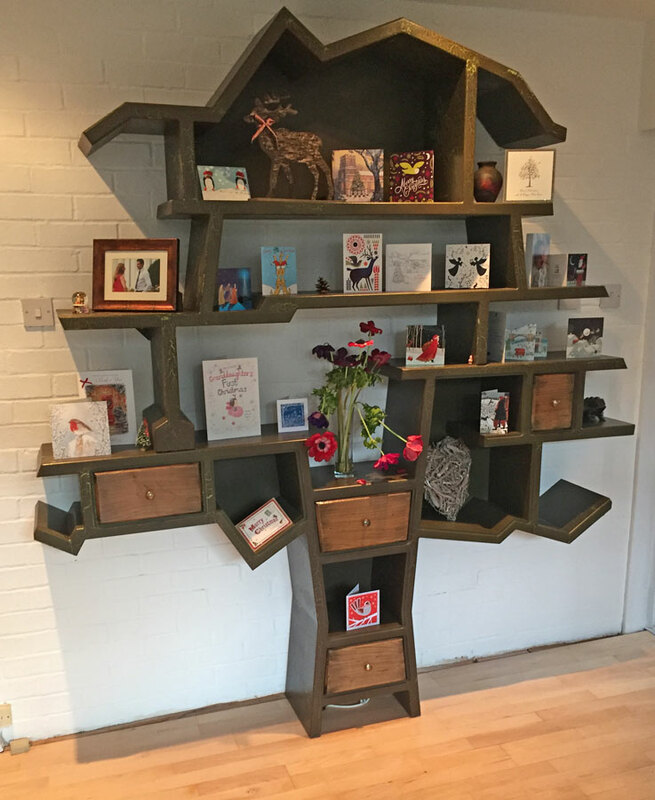 Here we have a stylized oak tree-shaped bookcase, painted first with greens & browns and then over-coated with a crackle finish paint so the earthy colours show through the cracks. 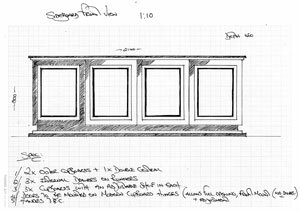 Ref: besp41 We were approached with the full design for this superb and impressive media unit, leaving only discussion on the finishes and visable details. 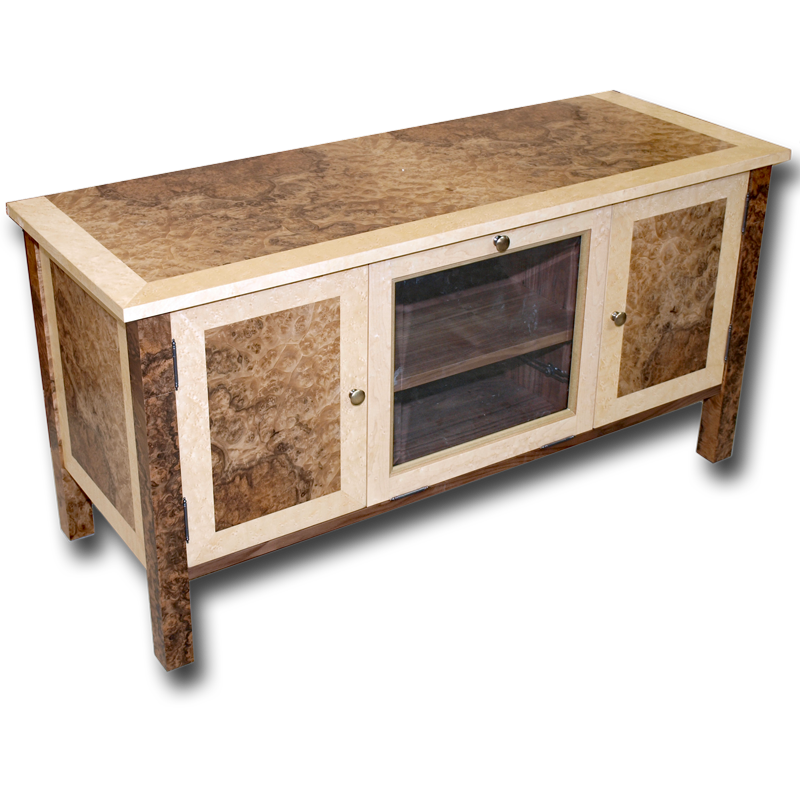 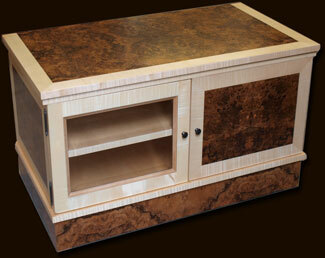 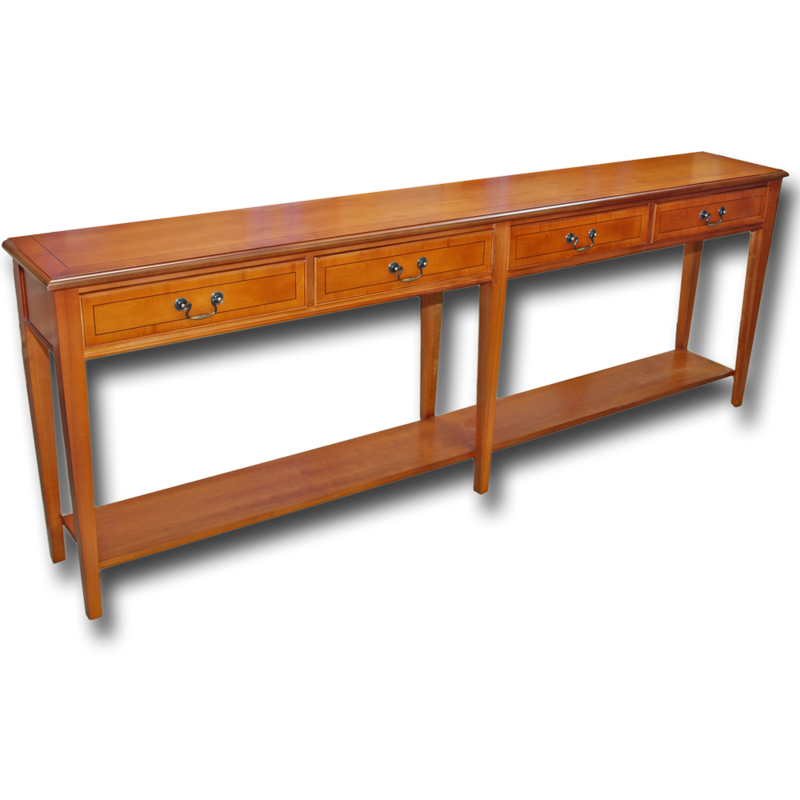 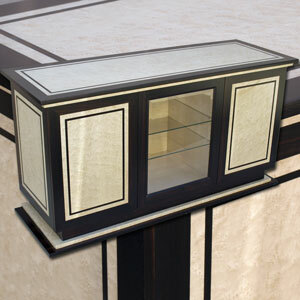 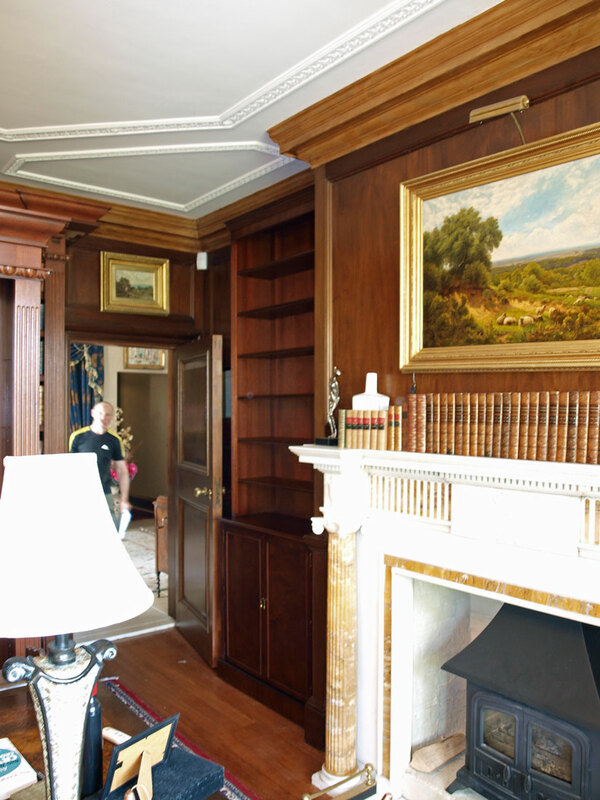 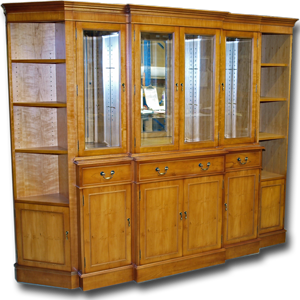 This fully bespoke cabinet features large, twin bi-fold doors, revealing open area large enough to accomodate a 72" TV. 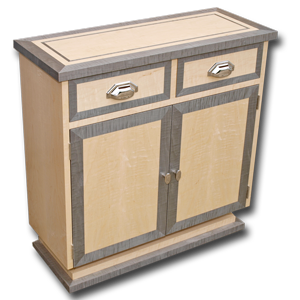 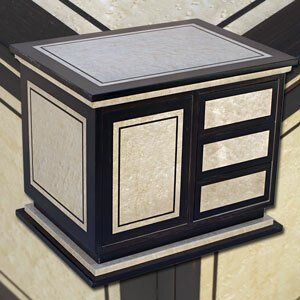 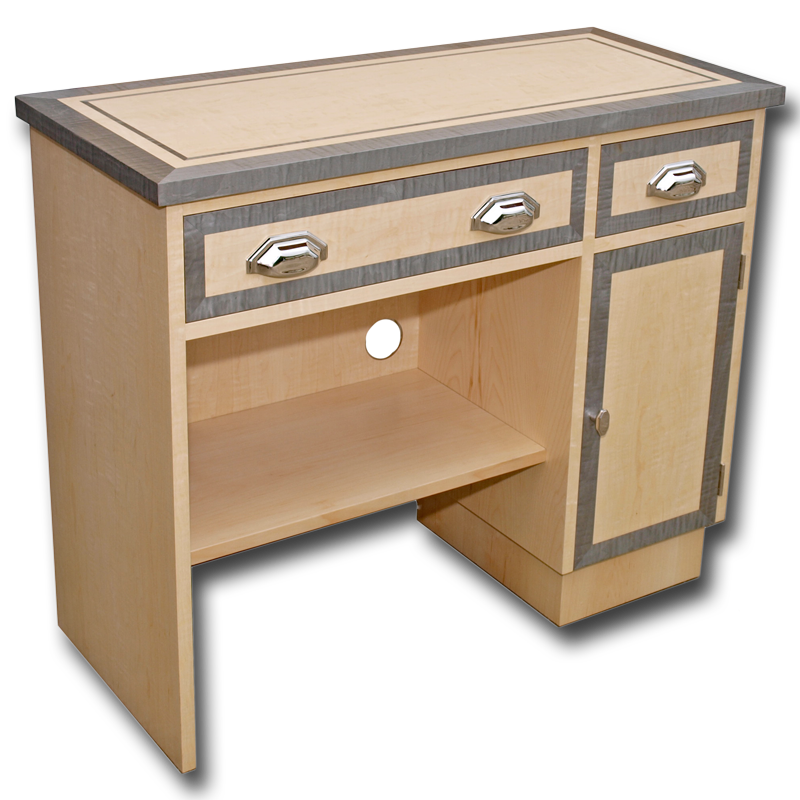 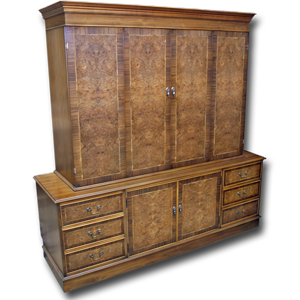 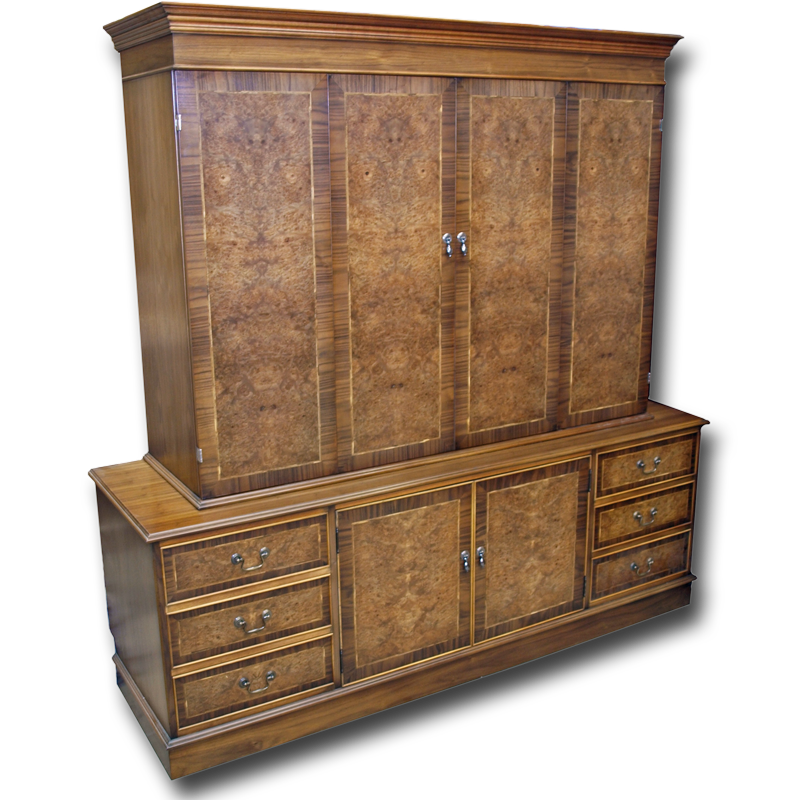 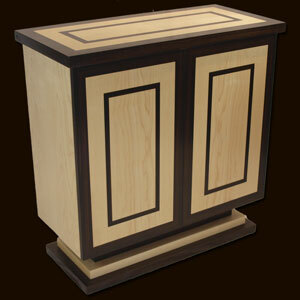 A twin door cupboard for hardware, drawers for storage and cable/cool air routing for maximum function. 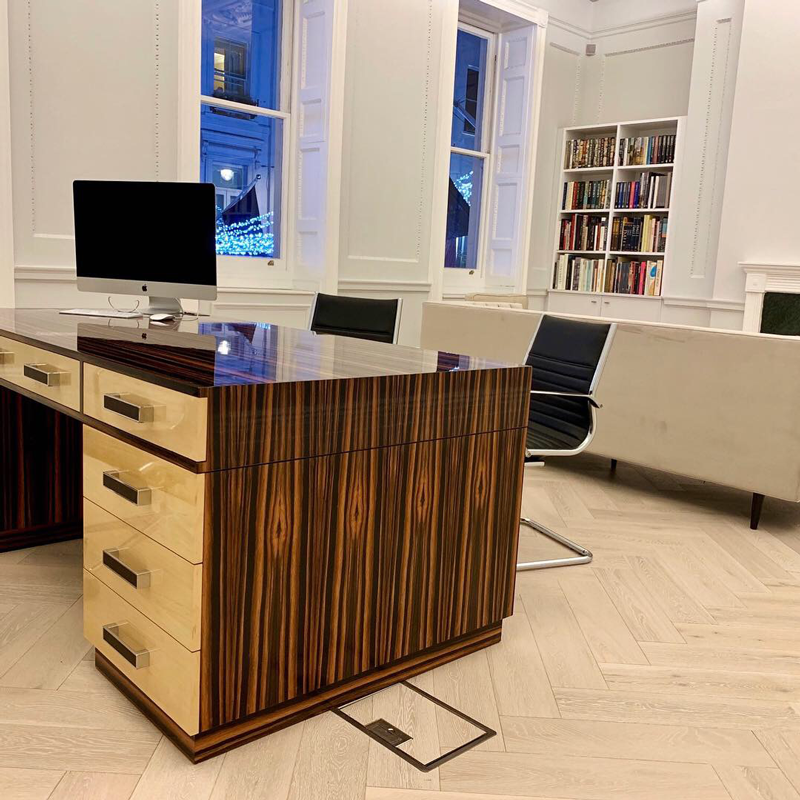 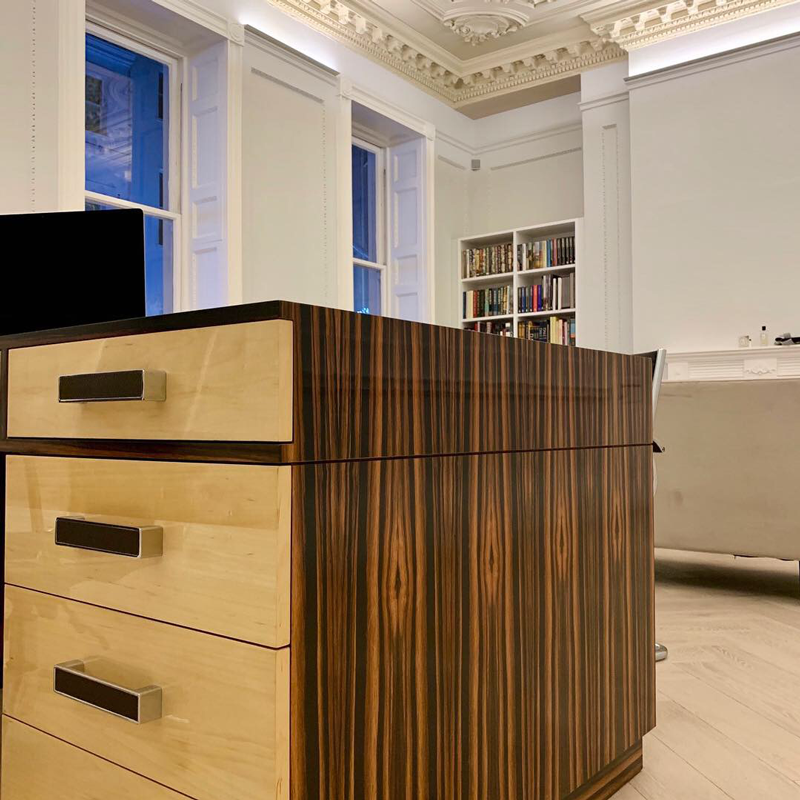 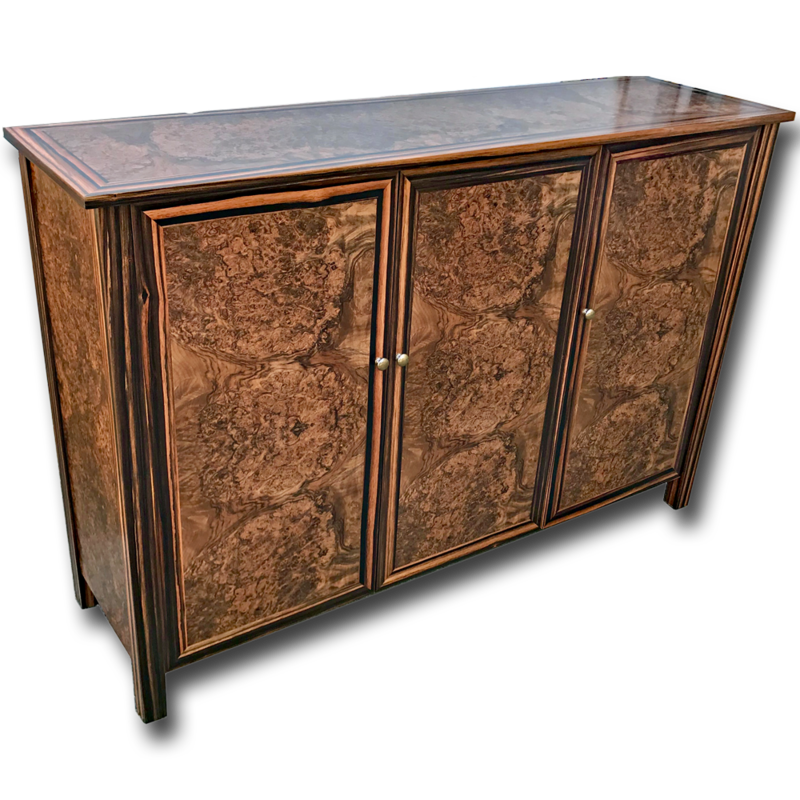 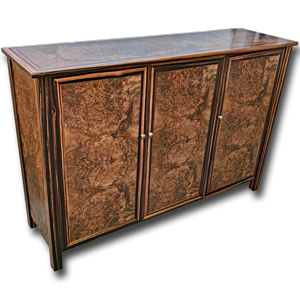 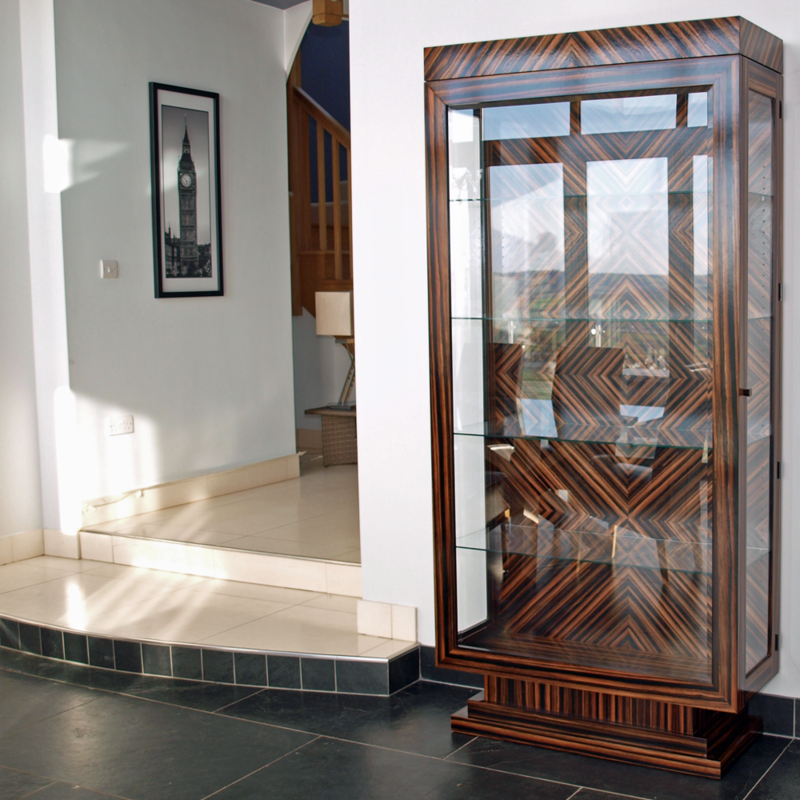 Ref: besp26 This bespoke serpentine front cabinet was designed by one of our customers, taking inspiration from existing cabinets within our standard range and combining styles and function. 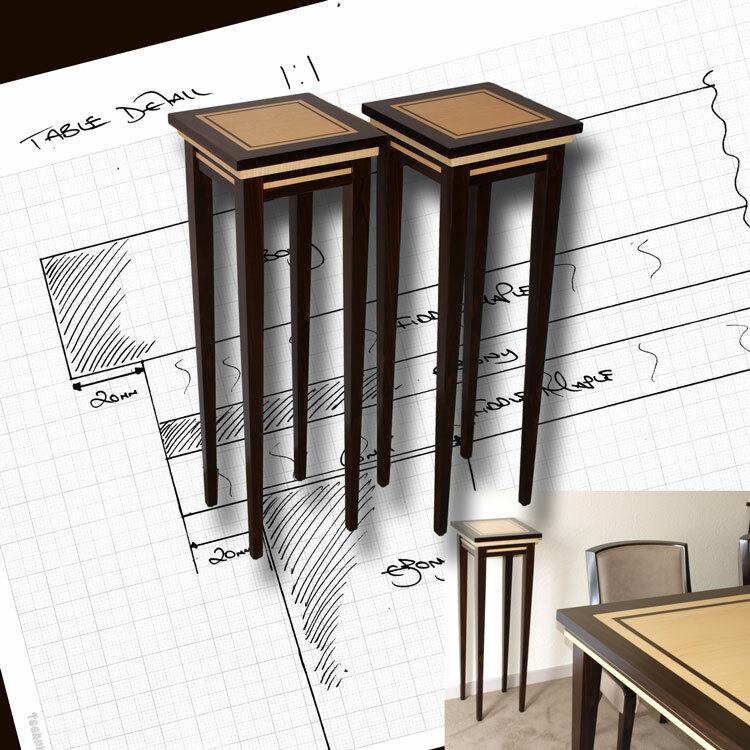 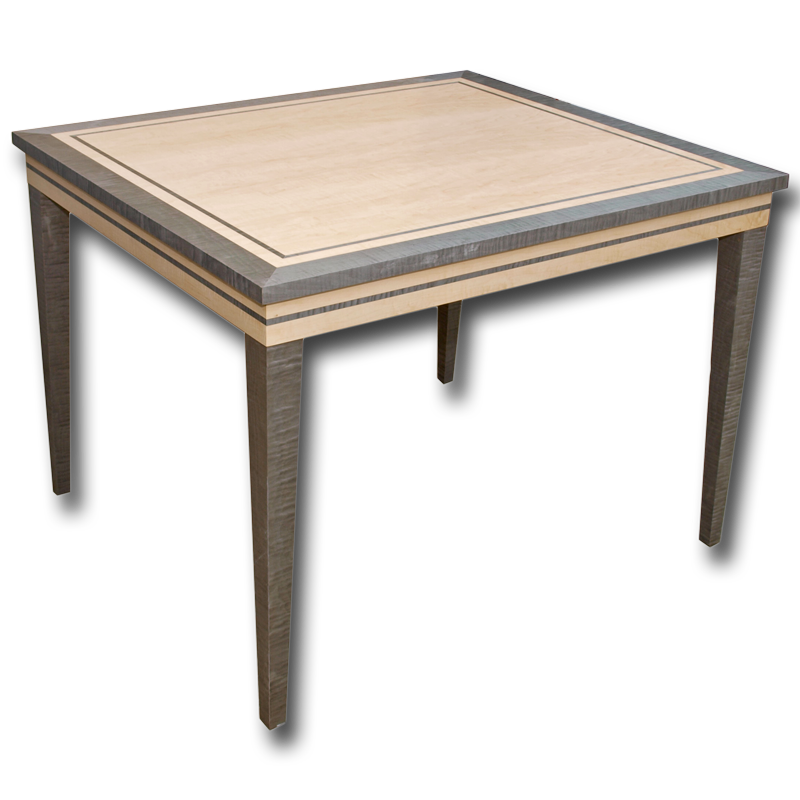 Sometimes we llike your designs so much that they become part of our overall range for others to enjoy also! 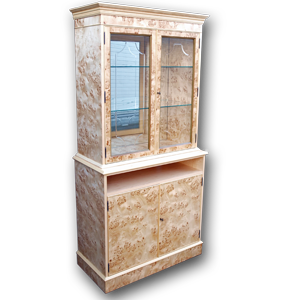 Ref: besp27 This yew wood media storage cabinet was created through a combination of photos of an existing unit and revised customer sizes & spec. 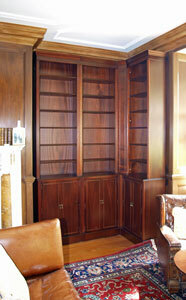 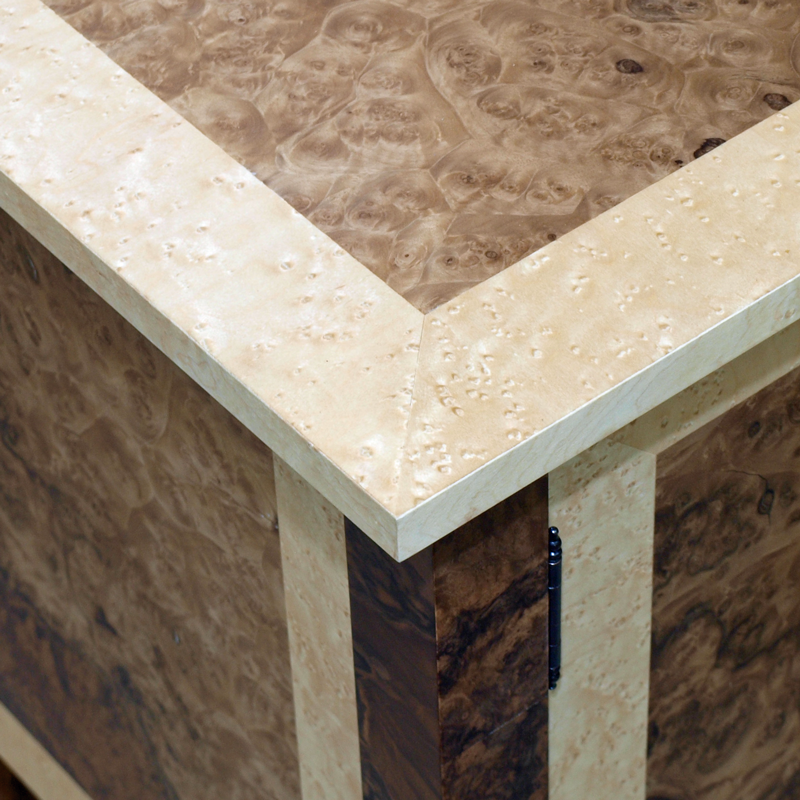 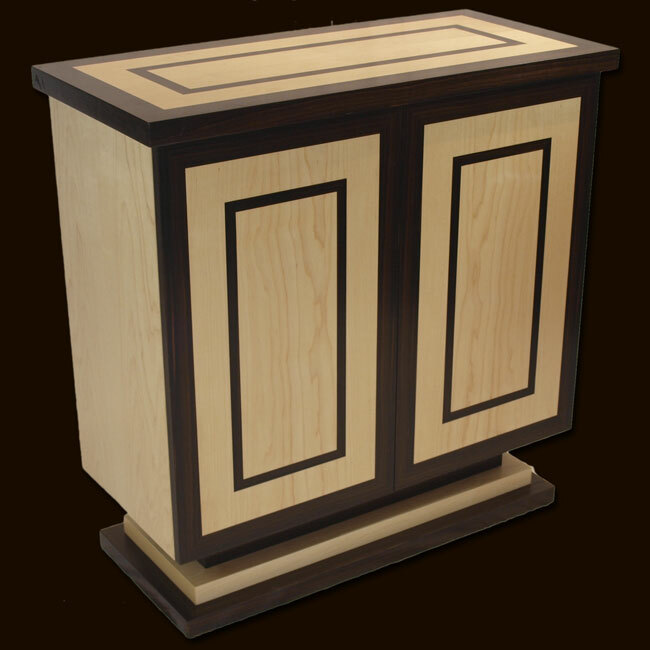 Full storage inset into both piano-hinged doors - a great use of space! Ref: besp28 This unit was made to the specific requirements of our customer to house various media hardware and is very typical of our weekly bespoke projects: take an existing concept from our furniture range and change it to make it work for you! 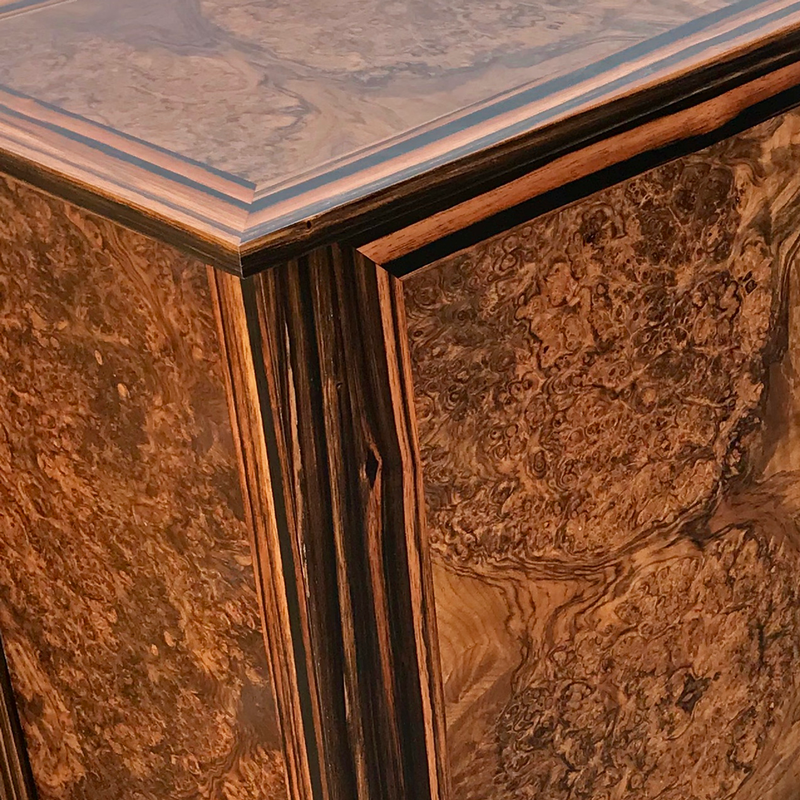 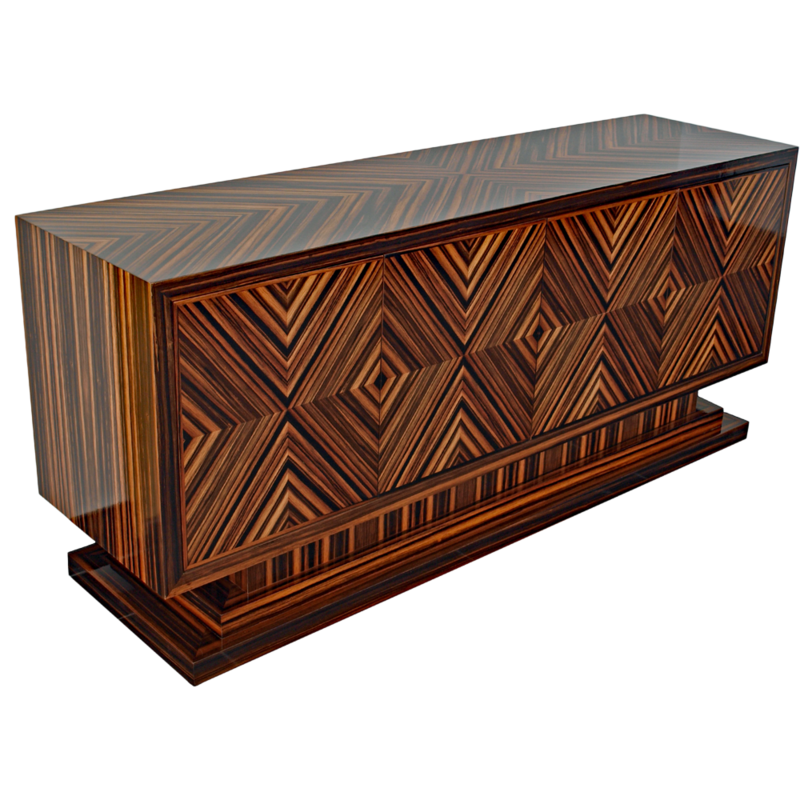 Ref: besp1 This bespoke bow front cabinet was designed by one of our customers, taking inspiration from existing cabinets within our standard range and combining styles and function. 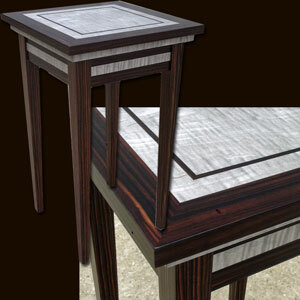 Sometimes we llike your designs so much that they become part of our overall range for others to enjoy also! 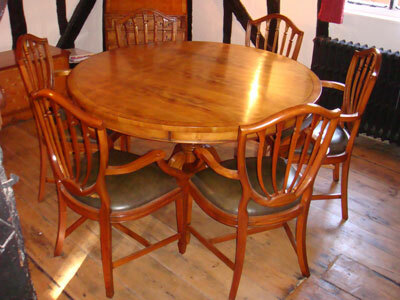 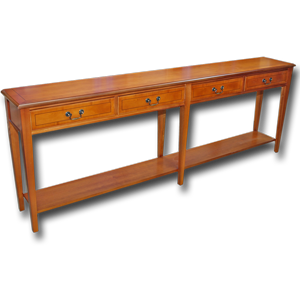 Ref: besp2 This beautiful yew dining room set was created using items from our normal ranges but individually tailored to suit. 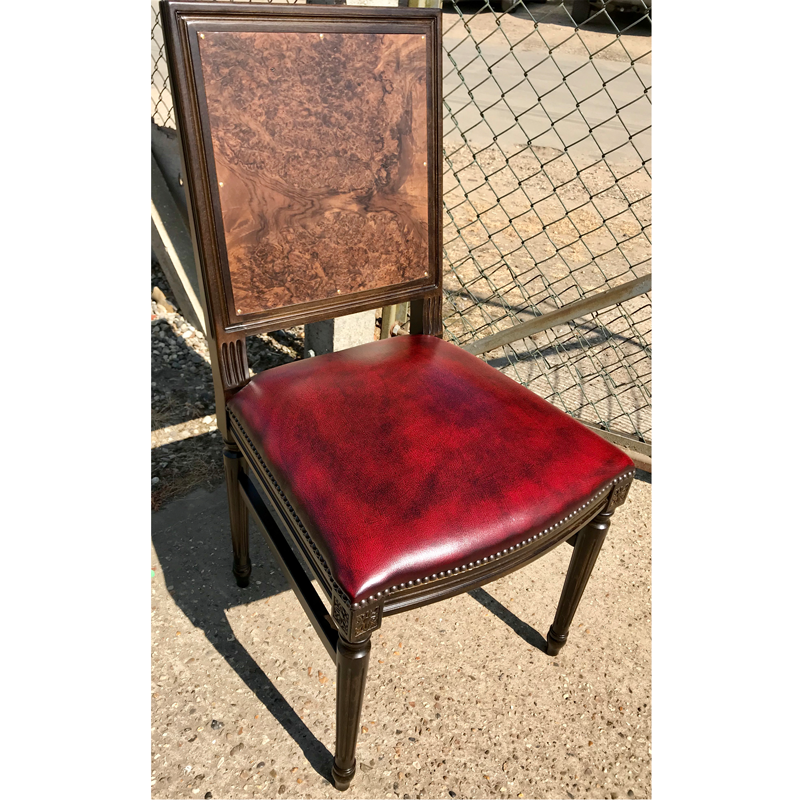 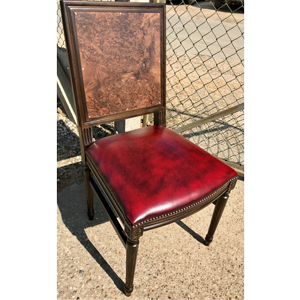 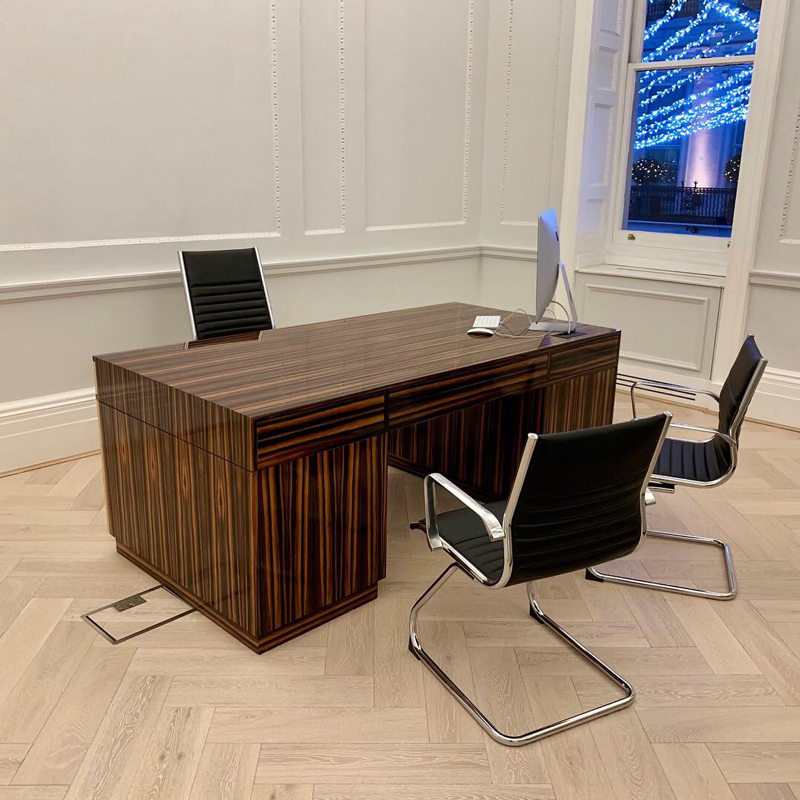 Finished in a wonderful light antique yew finish with small design tweeks such as; smooth leather seat pads, dimension changes and adjustable feet to cope with 300 year old flooring!! 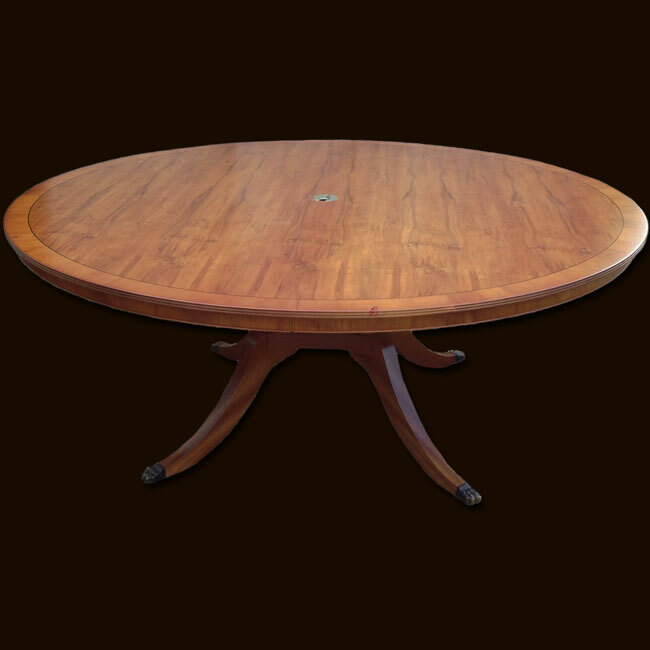 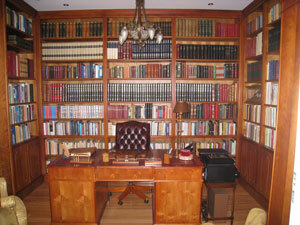 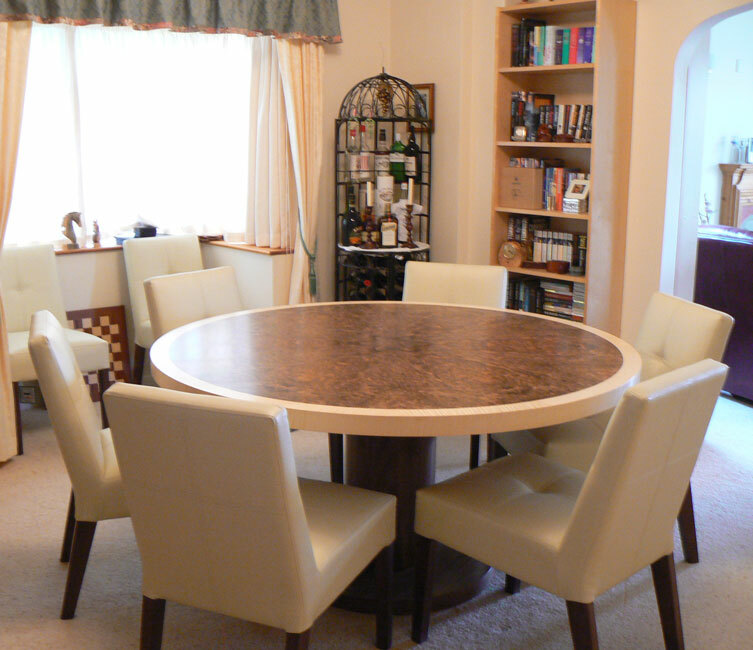 This set comprised of a circular superior dining table, 6 five finger chairs, a writing bureau and ottoman. 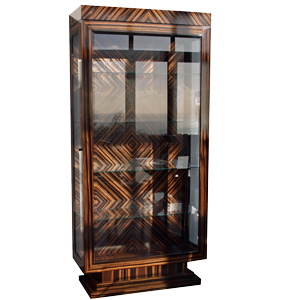 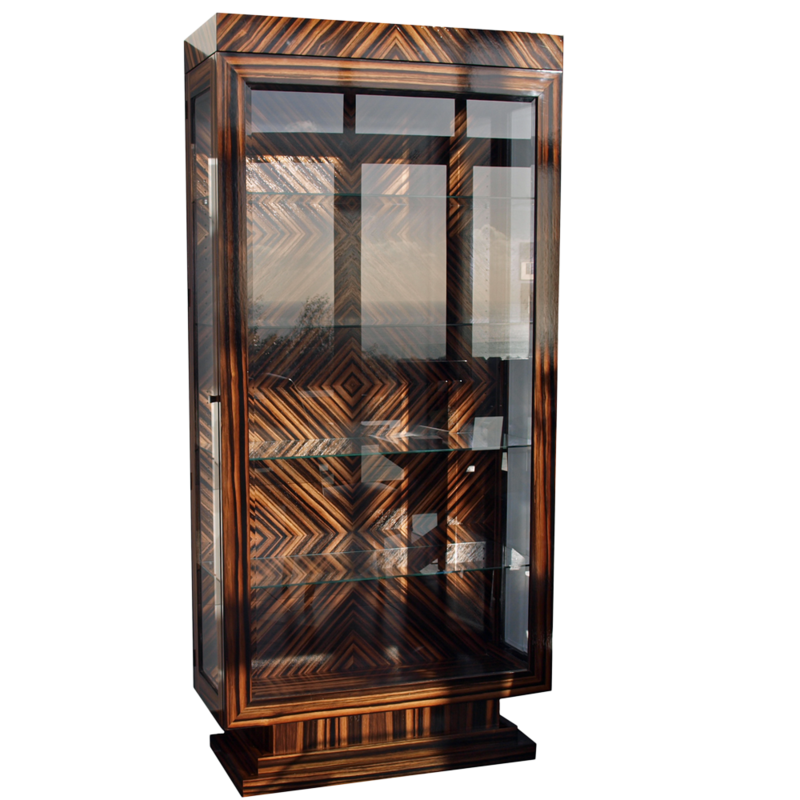 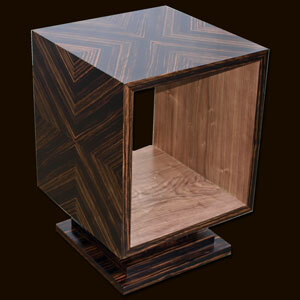 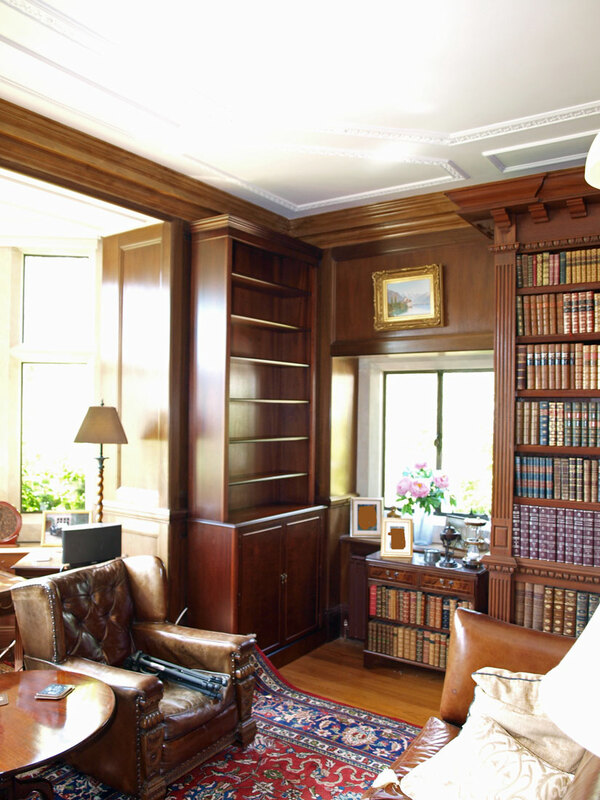 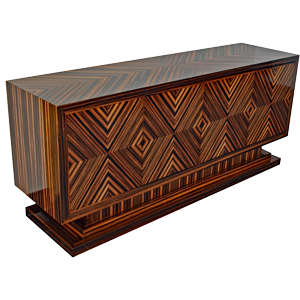 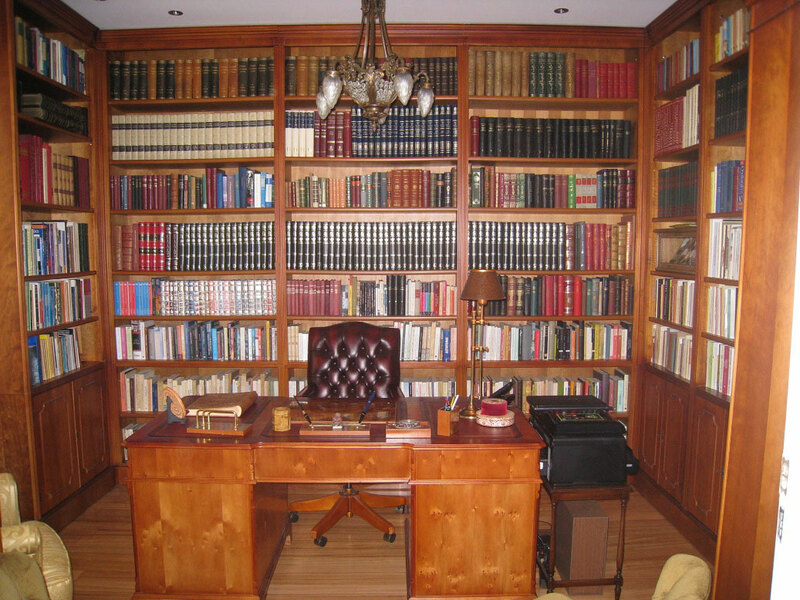 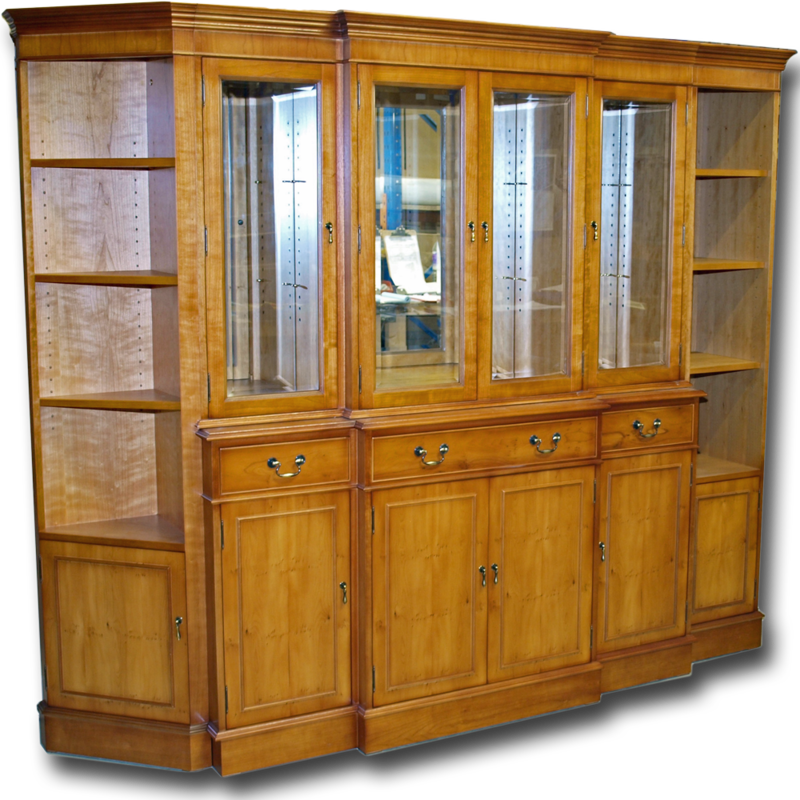 Ref: besp5 Using our Geogian marquetry bookcase as a starting point, this bookcase was made to a specific size, with two working drawers and wire access holes. Designed by our customer to fit a specific space and to accept electrical appliances on the fully adjustable shelving. Finished in our delightful light antique yew polish. 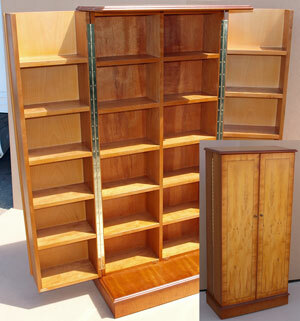 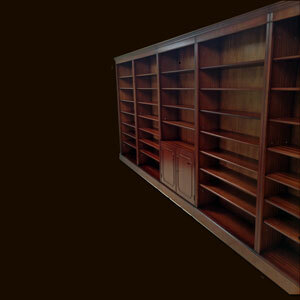 Ref: besp32 Using our combination bookcase units we were asked to make this nicely proportioned bookcase. 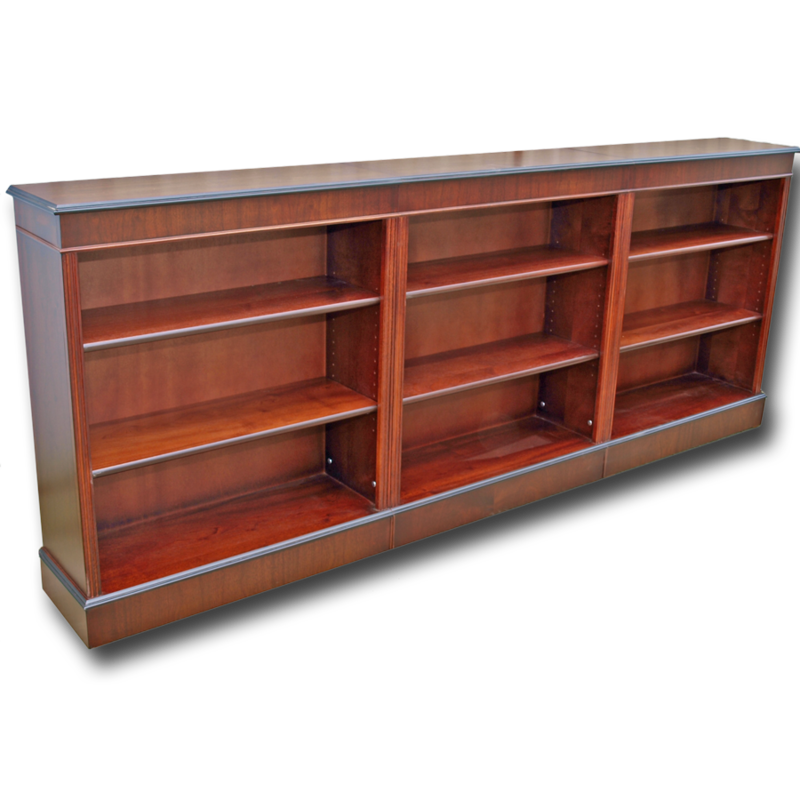 Made in 3 parts and assembled in the room, this yew wood unit features adjustable shelving throughout and a central glazed area for a display to compliment the book storage in the outer sections. 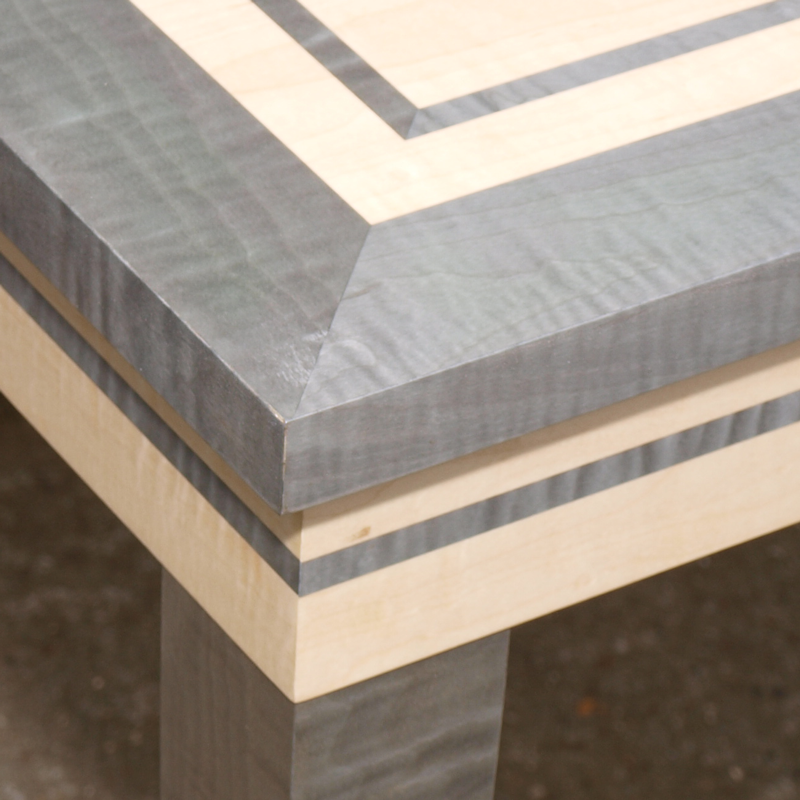 Finished in our colour-match yew polish. 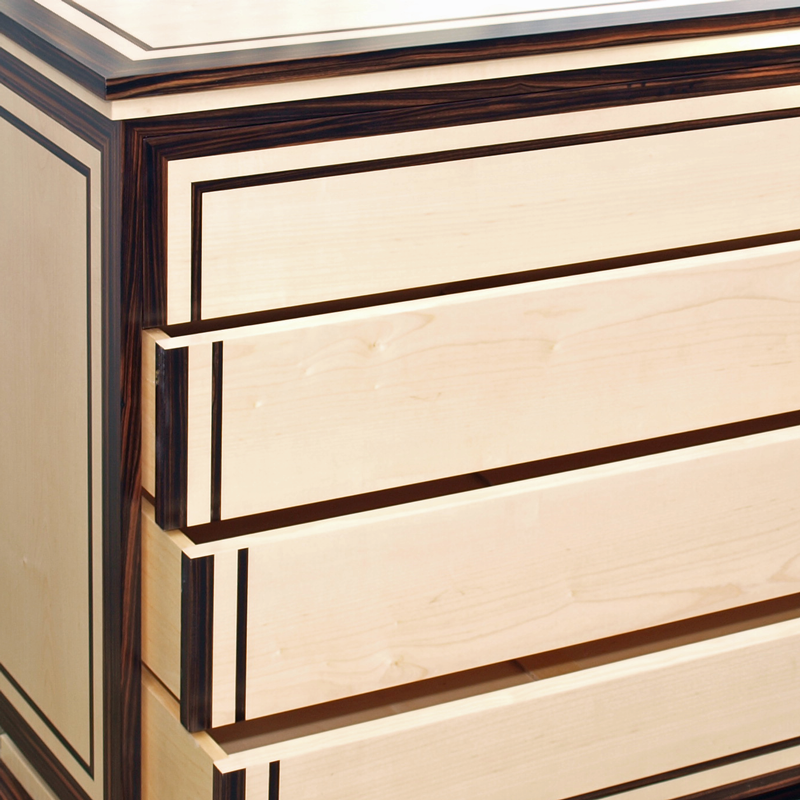 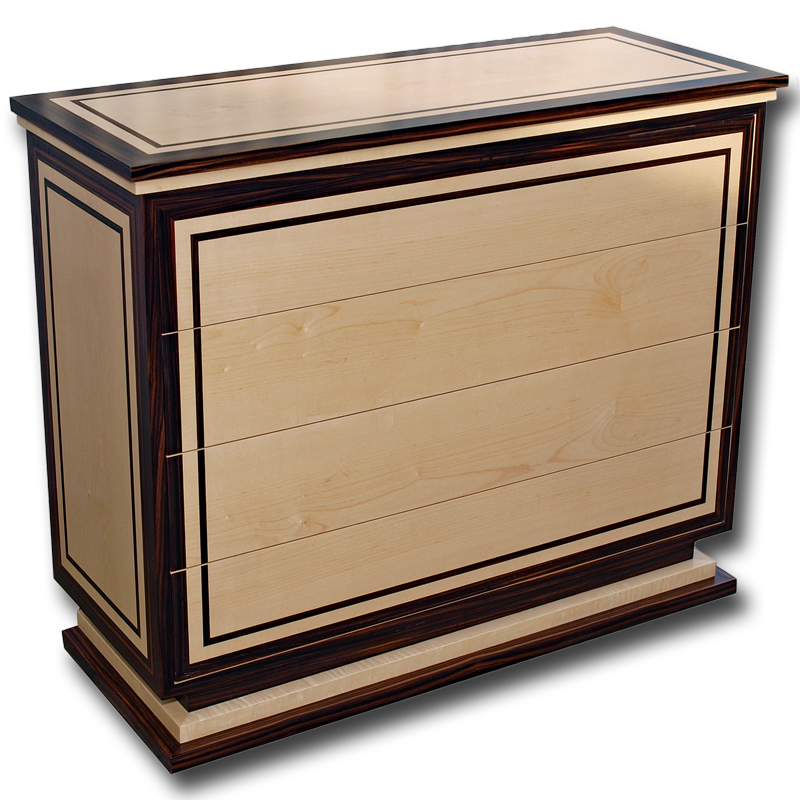 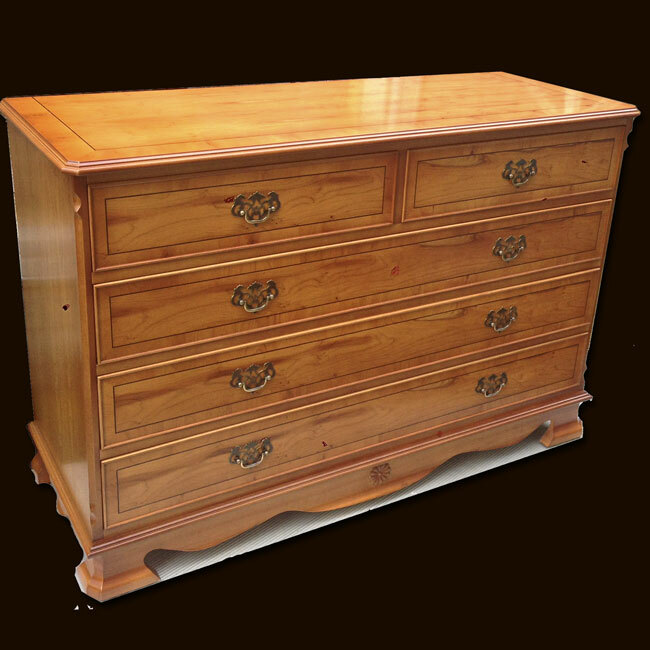 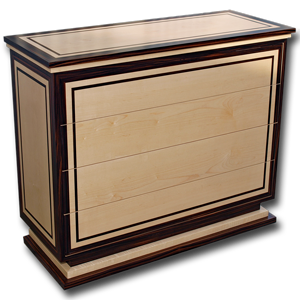 Ref: besp33 We were commisioned to make this attractive yew wood chest of drawers with specific dimensions and detailing. Our customer and our team were very pleased with the end result!